Exploring alternative datasets to augment financial trading models is currently the hot trend among the quantitative community. With so much social media data out there, its place in financial models has become a popular research discussion. Surely the stock market’s performance influences the reactions from the public but if the converse is true, that social media sentiment can be used to predict movements in the stock market, then this would be a very valuable dataset for a variety of financial firms and institutions. When I began this project as a consultant for QTS Capital Management, I did an extensive literature review of the social media sentiment providers and academic research. The main approach is to take the social media firehose, filter it down by source credibility, apply natural language processing (NLP), and create a variety of metrics that capture sentiment, volume, dispersion, etc. The best results have come from using Twitter or StockTwits as the source. A feature of StockTwits that distinguishes it from Twitter is that in late 2012 the option to label your tweet as bullish or bearish was added. If these labels accurately capture sentiment and are used frequently enough, then it would be possible to avoid using NLP. 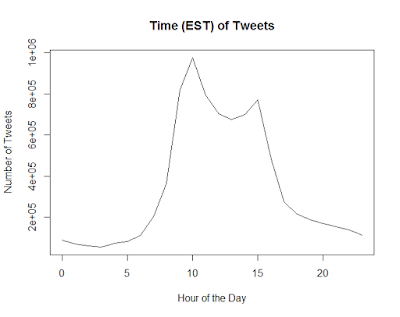 Most tweets are not labeled as seen in Figure 1 below, but the percentage is increasing. This blog post will compare the use of just the labeled tweets versus the use of all tweets with NLP. To begin, I did some basic data analysis to better understand the nature of the data. 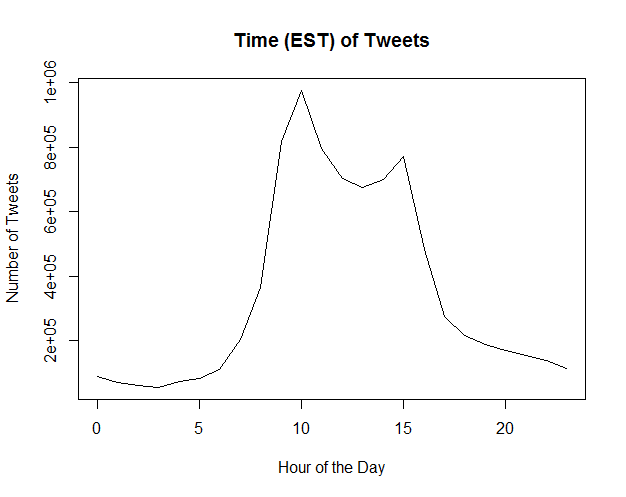 In Figure 2 below, the number of labeled tweets per hour is shown. As expected there are spikes around market open and close. The overall market sentiment can be estimated by aggregating the number of bullish and bearish labeled tweets each day. Based on the previous literature, I expected a significant bullish bias. This is confirmed in Figure 3 below with the daily mean percetage of bullish tweets being 79%. When writing a StockTwits tweet, users can tag multiple symbols so it is possible that the sentiment label could apply to more than one symbol. Tagging more than one symbol would likely indicate less specific sentiment and predictive potential so I hoped to find that most tweets only tag a single symbol. 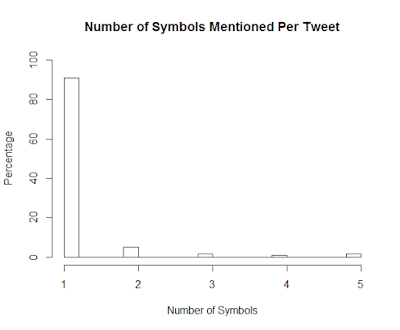 Looking at Figure 4 below, over 90% of the tweets tag a single symbol and a very small percentage tag 5+. The time period of data used in my analysis is from 2012-11-01 to 2016-12-31. 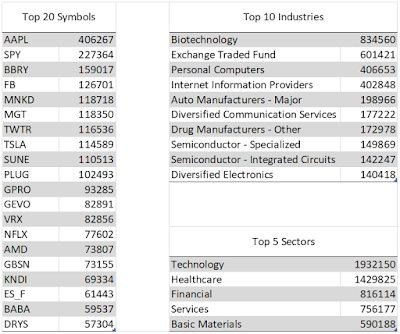 In Figure 5 below, the top symbols, industries, and sectors by total labeled tweet count are shown. 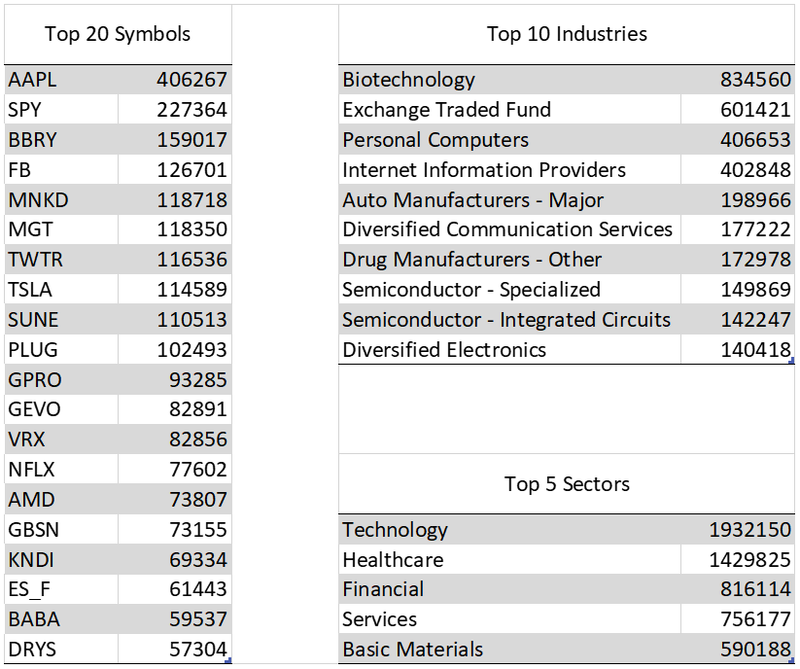 By far the most tweeted about industries were biotechnology and ETFs. This makes sense because of how volatile these industries are which hopefully means that they would be the best to trade based on social media sentiment data. This S-Score then needs to be normalized to detect the significance of a specific day’s sentiment with respect to the symbol’s historic sentiment trend. To do this, a rolling z-score is applied to the series. By changing the length of the lookback window the sensitivity can be adjusted. Additionally, since the data is quite sparse, days without any tweets for a symbol are given an S-Score of 0. At the market open each day, symbols with an S-Score above the positive threshold are entered long and symbols with an S-Score below the negative threshold are entered short. Equal dollar weight is applied to the long and short legs. These positions are assumed to be liquidated at the day’s market close. The first test is on the universe of equities with previous day closing prices > $5. With a relatively small long-short portfolio of ~250 stocks, its performance can be seen in Figure 6 below (click on chart to enlarge). 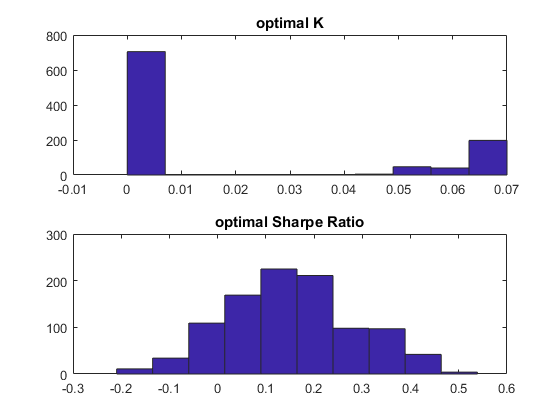 The thresholds were cherry-picked to show the potential of a 2.11 Sharpe Ratio but the results vary depending on the thresholds used. This sensitivity is likely due to the lack of tweet volume on most symbols. Also, the long and short thresholds are not equal in an attempt to maintain roughly equal number of stocks in each leg. The neutral basket contains all of the stocks in the universe that do not have an S-Score extreme enough to generate a long or short signal. Using the same thresholds as above, the test was ran on a liquidity universe which is defined as the top quartile of 50-day Average Dollar Volume stocks. As seen in Figure 7 below, the Sharpe drops to a 1.24 but is still very encouraging. The sensitivity of these results needs to be further inspected by performing analysis on separate train and test sets but I was very pleased with the returns that could be potentially generated from just labeled StockTwits data. In July, I began working for Social Market Analytics, the leading social media sentiment provider. Here at SMA, we run all the StockTwits tweets through our proprietary NLP engine to determine their sentiment scores. Using sentiment data from 9:10 EST which looks at an exponentially weighted sentiment aggregation over the last 24 hours, the open to close simulation can be ran on the price > $5 universe. Each stock is separated into its respective quintile based on its S-Score in relation to the universe’s percentiles that day. 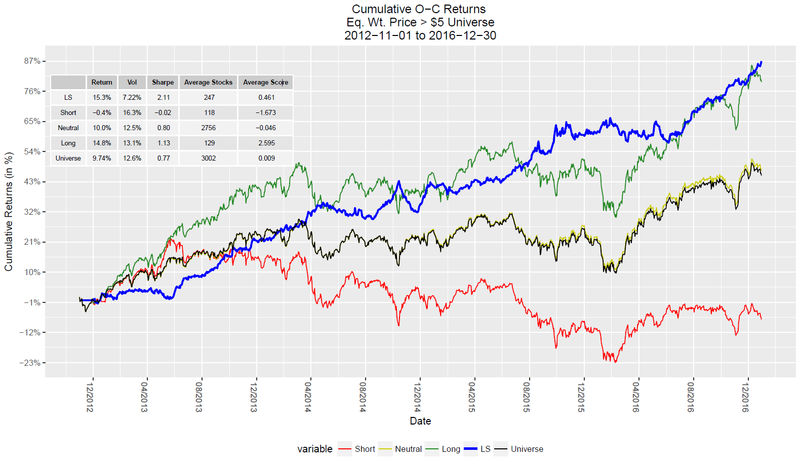 A long-short portfolio is constructed in a similar fashion as previously with long positions in the top quintile stocks and short positions in the bottom quintile stocks. 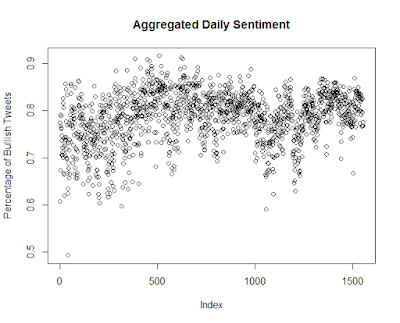 In Figure 8 below you can see that the results are much better than when only using sentiment labeled data. The predictive power is there as the long-short boasts an impressive 4.5 Sharpe ratio. Due to having more data, the results are much less sensitive to long-short portfolio construction. 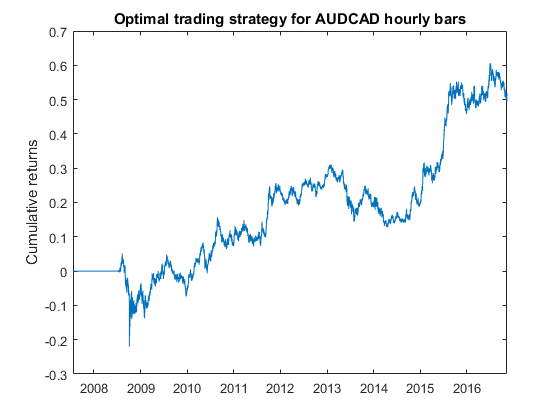 To avoid the high turnover of an open-to-close strategy, we have been exploring possible long-term strategies. Deutsche Bank’s Quantitative Research Team recently released a paper about strategies that solely use our SMA data which includes a longer-term strategy. Additionally, I’ve recently developed a strong weekly rebalance strategy that attempts to capture weekly sentiment momentum. Though it is just the beginning, my dive into social media sentiment data and its application in finance over the course of my time consulting for QTS has been very insightful. It is arguable that by just using the labeled StockTwits tweets, we may be able to generate predictive signals but by including all the tweets for sentiment analysis, a much stronger signal is found. If you have questions please contact me at coltonsmith321@gmail.com. I’ve long been interested in the behavior of corporate insiders and how their actions may impact their company’s stock. I had done some research on this in the past, albeit in a very low-tech way using mostly Excel. It’s a highly compelling subject, intuitively aligned with a company’s equity performance - if those individuals most in-the-know are buying, it seems sensible that the stock should perform well. If insiders are selling, the opposite is implied. While reality proves more complex than that, a tremendous amount of literature has been written on the topic, and it has shown to be predictive in prior studies. In generating my thesis to complete Northwestern’s MS in Predictive Analytics program, I figured employing some of the more prominent machine learning algorithms to insider trading could be an interesting exercise. I was concerned, however, that, as the market had gotten smarter over time, returns from insider trading signals may have decayed as well, as is often the case with strategies exposed to a wide audience over time. Information is more readily available now than at any time in the past. Not too long ago, investors needed to visit SEC offices to obtain insider filings. The standard filing document, the form 4 has only required electronic submission since 2003. Now anyone can obtain it freely via the SEC’s EDGAR website. If all this data is just sitting out there, can it continue to offer value? I decided to inquire by gathering the filings directly by scraping the EDGAR site. While there are numerous data providers available (at a cost), I wanted to parse the raw data directly, as this would allow for greater “intimacy” with the underlying data. I’ve spent much of my career as a database developer/administrator, so working with raw text/xml and transforming it into a database structure seemed like fun. Also, since I desired this to be a true end-to-end data science project, including the often ugly 80% of the real effort – data wrangling, was an important requirement. That being said, mining and cleansing the data was a monstrous amount of work. It took several weekends to work through the code and finally download 2.4 million unique files. I relied heavily on Powershell scripts to first parse through the files and shred the xml into database tables in MS SQL Server. With data from the years 2005 to 2015, the initial 2.4 million records were filtered down to 650,000 Insider Equity Buy transactions. I focused on Buys rather than Sells because the signal can be a bit murkier with sells. Insider selling happens for a great many innocent reasons, including diversification and paying living expenses. Also, I focused on equity trades rather than derivatives for similar reasons -it can be difficult to interpret the motivations behind various derivative trades. Open market buy orders, however, are generally quite clear. For exploratory data analysis and model building, I used the R programming language. 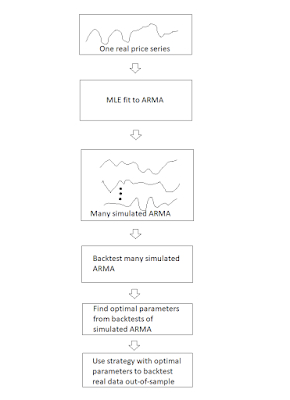 The models I utilized were linear regression, recursive partitioning, random forest and multiplicative adaptive regression splines (MARS). I intended to make use of a support vector machine (SVM) models as well, but experienced a great many performance issues when running on my laptop with a mere 4 cores. SVMs have trouble with scaling. I failed to overcome this issue and abandoned the effort after 10-12 crashes, unfortunately. For the recursive partitioning and random forest models I used functions from Microsoft’s RevoScaleR package, which allows for impressive scalability versus standard tree-based packages such as rpart and randomForest. Similar results can be expected, but the RevoScaleR packages take great advantage of multiple cores. I split my data into a training set for 2005-2011, a validation set for 2012-2013, and a test set for 2014-2015. 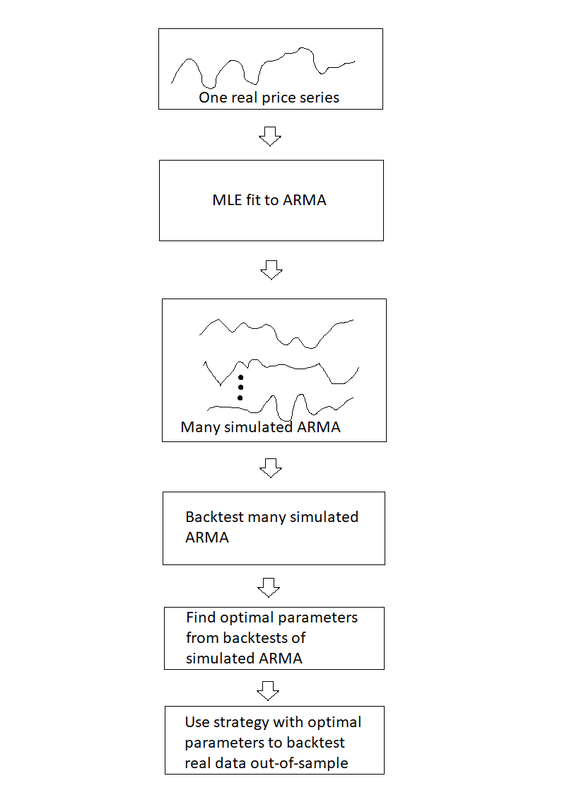 Overall, performance for each of the algorithms tested were fairly similar, but in the end, the random forest prevailed. 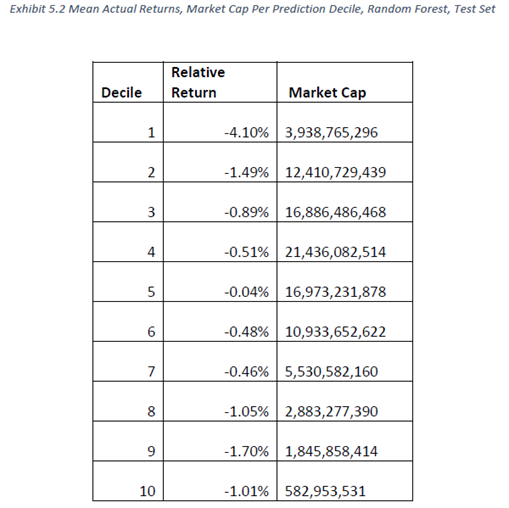 The random forest’s predicted returns were significantly better for quintile 5, the highest predicted return grouping, relative to quintile 1(the lowest). 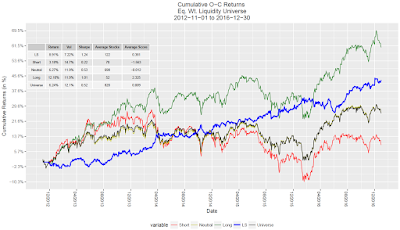 Quintiles 2 through 4 also lined up perfectly - actual performance correlated nicely with grouped predicted performance. The results in validation seemed very promising! Fortunately, the predicted 1st decile was in in fact the lowest performing actual return grouping. However, the actual returns on all remaining prediction deciles appeared no better than random. In addition, relative returns were negative for every decile. While disappointing, it is important to recognize that when modeling time-dependent financial data, as the time-distance moves further away from the training set’s time-frame, performance of the model tends to decay. All market regimes, gradually or abruptly, end. This represents a partial (yet unsatisfying) explanation for this relative decrease in performance. 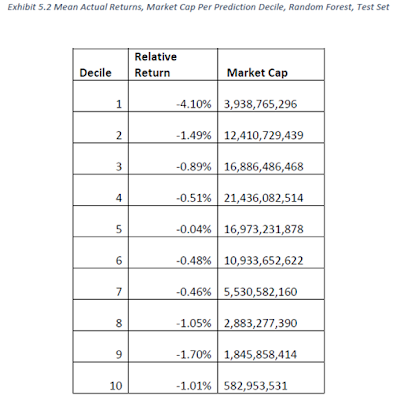 Other effects that may have impaired prediction include the use of price, as well as market cap, as predictor variables. These factors certainly underperformed during the period used for the test set. Had I excluded these, and refined the filing specific features more deeply, perhaps I would have obtained a clearer signal in the test set. In any event, this was a fun exercise where I learned a great deal about insider trading and its impact on future returns. Perhaps we can conclude that this signal has weakened over time, as the market has absorbed the informational value of insider trading data. However, perhaps further study, additional feature engineering and clever consideration of additional algorithms is worth pursuing in the future. John J Ryle, CFA lives in the Boston area with his wife and two children. He is a software developer at a hedge fund, a graduate of Northwestern’s Master’s in Predictive Analytics program (2017), a huge tennis fan, and a machine learning enthusiast. He can be reached at john@jryle.com. 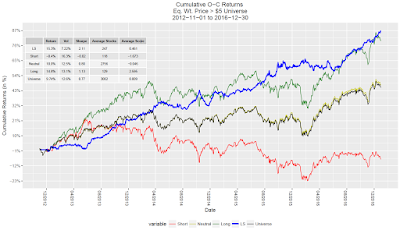 In the last few years, mean reversion strategies have proven to be the most consistent winner. 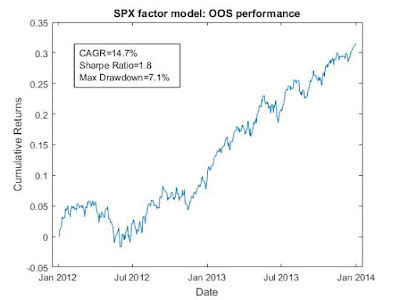 However, not all mean reversion strategies work in all markets at all times. This workshop will equip you with basic statistical techniques to discover mean reverting markets on your own, and describe the detailed mechanics of trading some of them. scriptmaker.net allows users to record order book data for backtesting. 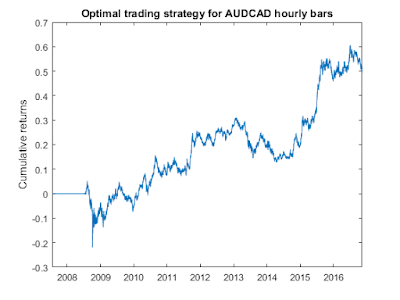 Pair Trading Lab offers a web-based platform for easy backtesting of pairs strategies. I have been troubled by the following paradox in the past few years. If a stock's log returns (i.e. change in log price per unit time) follow a Gaussian distribution, and if its net returns (i.e. percent change in price per unit time) have mean m and standard distribution s, then many finance students know that the mean log returns is m-s2 /2. That is, the compound growth rate of the stock is m-s2 /2. This can be derived by applying Ito's lemma to the log price process (see e.g. Hull), and is intuitively satisfying because it is saying that the expected compound growth rate is lowered by risk ("volatility"). OK, we get that - risk is bad for the growth of our wealth. However, let's find out what the expected price of the stock is at time t. If we invest our entire wealth in one stock, that is really asking what our expected wealth is at time t. To compute that, it is easier to first find out what the expected log price of the stock is at time t, because that is just the expected value of the sum of the log returns in each time interval, and is of course equal to the sum of the expected value of the log returns when we assume a geometric random walk. So the expected value of the log price at time t is just t * (m-s2 /2). But what is the expected price (not log price) at time t? It isn't correct to say exp(t * (m-s2 /2)), because the expected value of the exponential function of a normal variable is not equal to the exponential function of the expected value of that normal variable, or E[exp(x)] !=exp(E[x]). Instead, E[exp(x)]=exp(μ+σ2 /2) where μ and σ are the mean and standard deviation of the normal variable (see Ruppert). In our case, the normal variable is the log price, and thus μ=t * (m-s2 /2), and σ2=t *s2 . Hence the expected price at time t is exp(t*m). Note that it doesn't involve the volatility s. Risk doesn't affect the expected wealth at time t. But we just argued in the previous paragraph that the expected compound growth rate is lowered by risk. What gives? This brings us to a famous recent paper by Peters and Gell-Mann. (For the physicists among you, this is the Gell-Mann who won the Nobel prize in physics for inventing quarks, the fundamental building blocks of matter.) This happens to be the most read paper in the Chaos Journal in 2016, and basically demolishes the use of the utility function in economics, in agreement with John Kelly, Ed Thorp, Claude Shannon, Nassim Taleb, etc., and against the entire academic economics profession. (See Fortune's Formula for a history of this controversy. And just to be clear which side I am on: I hate utility functions.) To make a long story short, the error we have made in computing the expected stock price (or wealth) at time t, is that the expectation value there is ill-defined. It is ill-defined because wealth is not an "ergodic" variable: its finite-time average is not equal to its "ensemble average". Finite-time average of wealth is what a specific investor would experience up to time t, for large t. Ensemble average is the average wealth of many millions of similar investors up to time t. Naturally, since we are just one specific investor, the finite-time average is much more relevant to us. What we have computed above, unfortunately, is the ensemble average. Peters and Gell-Mann exhort us (and other economists) to only compute expected values of ergodic variables, and log return (as opposed to log price) is happily an ergodic variable. 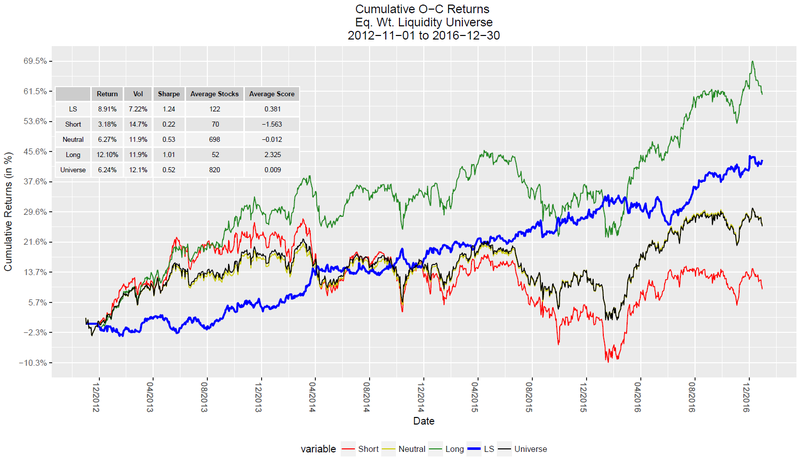 Hence our average log return is computed correctly - risk is bad. Paradox resolved! I will discuss in details AI techniques as applied to trading strategies, with plenty of in-class exercises, and with emphasis on nuances and pitfalls of these techniques. I will teach 3 courses there: Quantitative Momentum, Algorithmic Options Strategies, and Intraday Trading and Market Microstructure.